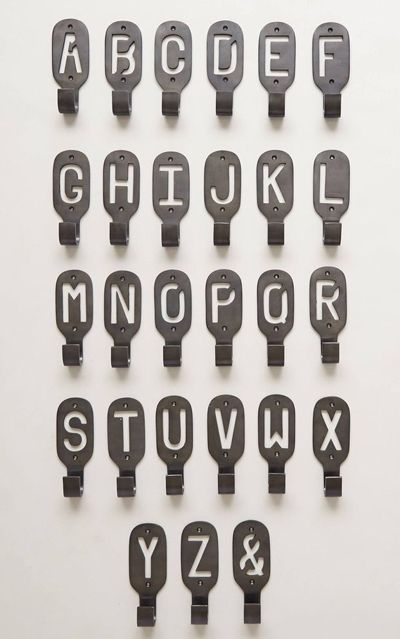 Create a unique, personalized space for hanging up belongings with these Cast Iron Monogram Hooks. Choose your initials for the closet, names for the bedroom and favorite greetings for the entryway. $18. Buy here.